At Osprey Europe Limited we respect the privacy of our customers, visitors to our website, entrants in our competitions and users of our apps. In this statement references to Osprey Europe are to Osprey Europe Limited of Talon House, Aston Way, Poole, Dorset BH12 4FE and references to Osprey are to Osprey Europe Limited and Osprey Packs, inc, of 115 Progress Circle, Cortez, Colorado 81321 USA. Osprey Europe Limited is a data controller, meaning that it determines the processes to be used when using your personal data (“we”, “us” or “our” in this privacy notice). References to “you” or “your” are to users of our site, our apps and our other services and entrants of our competitions, as applicable. We need to collect and use personal information to fulfil the expectations and requirements of our users and customers, e.g. by communicating with you and providing an interactive service. By using the relevant website, by submitting personal data to Osprey or by clicking “I Agree”, depending on the website, service, or application you are using, you express your consent and agreement to the processing of your personal data in the manner provided in this Policy. If you do not agree with this Policy, please do not use the website, or provide Osprey with your personal data, or do not grant your consent otherwise. In addition, our apps will collect and track information regarding the app experience – such as your phone model, the duration and frequency of your usage sessions, information regarding application crashes, the particular screens you choose to view, etc. From time to time we also share customer information with other like-minded organisations. (We won’t share your information with these organisations if you have indicated that you don’t want us to). 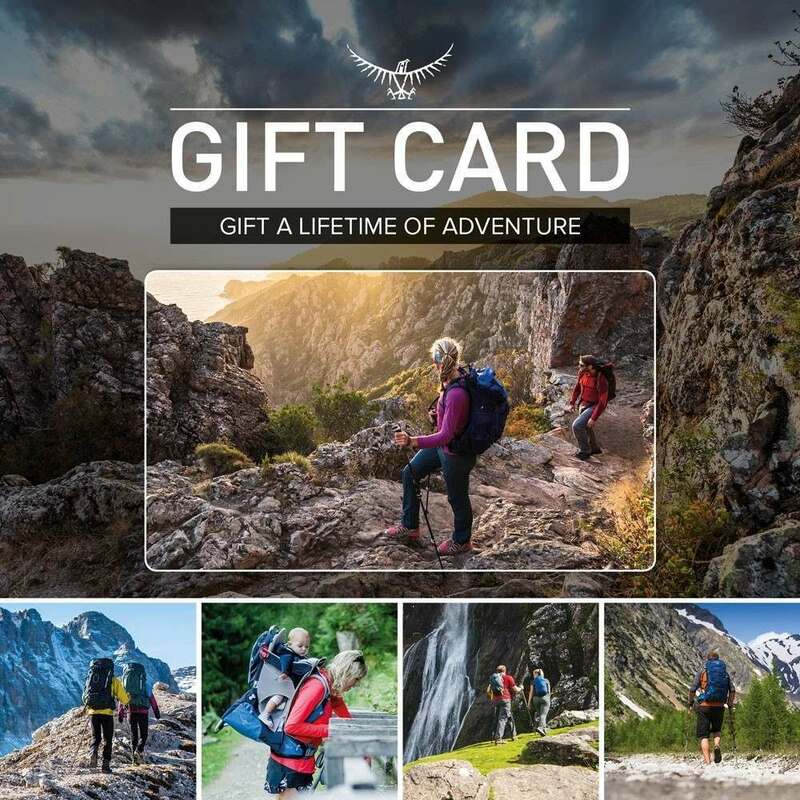 By entering an Osprey Europe competition or prize draw you will generally be agreeing to receive newsletters, mailings, emails or text messages from Osprey Europe. If you later decide that you no longer wish to be contacted by us, you can let us know by emailing: care@ospreyeurope.com, or by telephoning +44 (0)1202 946444. If we contact you by email or text, each time you receive a message you will also have the option to decline to receive further information from us in that manner. Which cookies does Osprey Europe use? Targeting cookies – These record your visit to our site or apps, the pages you’ve visited and the links you’ve followed. We’ll use this information to make our site or apps more relevant to your interests. We use LiveChat in order to communicate with our users in real-time and as a ticketing system when outside of office hours. Prior to starting LiveChat with us, users must tick and accept that they understand and acknowledge that personal data shall be processed and transmitted in accordance with the General Data Protection Regulation (GDPR). Information stored within LiveChat during and after use includes: geographic location based on device’s IP address, device, operating system, browser and the LiveChat conversation itself. If returning visitors login with the same email address Chats can be linked for historical purposes, improving user-experience by allowing Web Customer Assistants the opportunity to understand the specific users’ previous requests. All LiveChats and Tickets are deleted from the LiveChat system after 365 days. We use HeatMap in order to optimise the website service and user-experience. Information collected includes: mouse and touch activity (but no keyboard activity), device screen size, geographic location (country only), pages visited, date and time when website pages were accessed, however, all stored data is anonymised and aggregated by design. Neither HeatMap nor we will ever use (or can use) this information to identify individual users or to match it with further data on an individual user. You can opt-out at any time which will prevent data tracking when you navigate on www.ospreyeurope.com and any of HeatMap’s clients’ websites by following the link above. We use Foursixty to use their API and related website services that enable us to secure rights to use photos and videos that have been posted on Instagram using @ and # Osprey Europe tags. Public uploads and posts from social media sites (including publicly posted photographs and videos, along with the Instagram URL, date/time of posting, and associated caption of the posts) are pulled into our Foursixty account where we can then request permission from the owner to display these assets on the front-end of ospreyeurope.com, Blog pages, galleries and Product Pages. We use this user-generated content to promote the Osprey Community and demonstrate users and athletes etc. using our products. The Facebook Pixel stores anonymous data which allows us to serve adverts on the Facebook social platform that are relevant to the products and pages you have visited on ospreyeurope.com. Information collected only includes: pages viewed. Osprey Europe does not have access to any personal details during this process. Facebook anonymously handles the connection of “Page View” data to Facebook profiles allowing for the distribution of personalised adverts. Affili.net tracking is a service which allows us to reward partner websites who link to ospreyeurope.com. The information that is collected includes: referral source, session duration and anonymous purchase data. No personal data is collected in this process and the data is only used to confirm referral and purchase with a partner. We use Magento Business Intelligence as an analytics tool to understand our business’ performance. Magento B.I. pulls sales information straight from Magento, including data related to: Products, Orders, Revenue and Customers, e.g. : a customer’s lifetime value. This can include revenue spent per customer, where the customer is identified by their email address. This information is essential for the processing of orders; Magento B.I. simply allows us to aggregate the data and display it in reports and dashboards. Information which you submit via our websites, apps, competitions or prize draws is sent to a computer located in the United Kingdom. This is necessary in order to process the information and to send you the information/products you have requested. Information submitted by you may be transferred by us to our other offices and to other reputable third-party organisations as referred to in this statement and these may be situated outside the European Economic Area. We have security measures in place to attempt to protect against the loss, misuse and alteration of personal data under our control. Whilst we can’t ensure or guarantee that loss, misuse or alteration of data won’t occur, we’ll do our best to try to prevent this. Unfortunately, the transmission of data across the internet isn’t completely secure and whilst we do our best to try to protect the security of your information we can’t ensure or guarantee that loss, misuse or alteration of data won’t occur whilst you or we are transferring this data. Where you or we have provided a password enabling you to access parts of our websites, use our apps or use our services, it’s your responsibility to keep this password confidential. Please don’t share your password with anyone. The addition of password requirements has been added to the website as a form of risk mitigation. Our website may contain links to other sites and our website can also be accessed from links on third party sites. We can’t be responsible for the privacy policies and practices of other websites even if you access those sites using links from our website or if you linked to our website from those sites. We recommend that you check the privacy statement of each site you visit and contact the website owner or operator if you have any concerns or questions. Whilst this statement covers our privacy practices and how we will use any data collected from our website and social media pages, it doesn’t cover how providers of social media websites will use your information. You should read the social media site’s privacy policies before adding any content to our social media pages. Make use of the social media site privacy settings and reporting mechanisms to control the way that your information is handled. Remember that the internet provides instant worldwide access. Any information that you provide will be just that – worldwide instantly! We do not moderate our website. So, if you post comments about other people it’s not only your privacy that is at stake. Protect your friends’ privacy and reputations. Be careful about uploading any content that may show you or your friends in compromising situations and be aware that other users may abuse the content you have provided. Before using our “Tell a Friend” services to email your friends about our activities or products, please make sure that you have your friend’s consent to receive our email. Before sending an email to your friend in this way we need you to provide your name and email address (please do not provide us with fictitious or hoax email address or names) so that we can let your friend know who has arranged for the email to be sent. If you choose to forward an email that we have sent you, then you do so at your own discretion but as with the above please be sure that the person that you forward the email onto will be happy to receive it. In line with data protection principles, we only keep your data for as long as we need it. Such analytical tools as Google Analytics that store anonymised data will be kept indefinitely so that we can use historical data to make informed decisions about website developments based on our users’ interactions. We recommend that minors over the age of 13 ask a parent or guardian for permission before sending any information about themselves to anyone, including us, over the Internet. You may request details of personal information which we hold about you under General Data Protection Regulation (GDPR). A small fee will be payable. If you would like a copy of the information held on you or if you have any questions relating to this statement or how we use the personal information we have about you, please write to the Web Manager, Osprey Europe Ltd., Talon House, Aston Way, Poole, Dorset, BH12 4FE, UK. We may make changes to this statement from time to time. If we change our privacy statement we will post the changes on this page. By using our sites, apps or social media pages, or by entering a competition or prize draw or registering to receive our newsletters, you consent to our collection and use of information in accordance with this statement. If you don’t agree to this statement, please don’t use our site, social media pages or apps or enter our competitions or register for our newsletters.